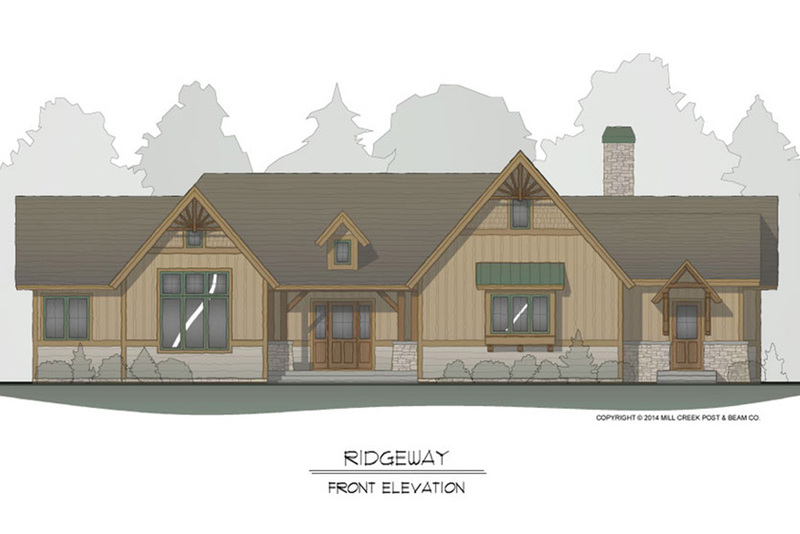 This beautiful lodge boasts a heavy timbered porch that puts a whole new meaning to “welcome home.” The Ridgeway features vaulted ceilings throughout expansive living spaces. The kitchen, great room, and dining room are oriented toward the outdoor living areas, making it ideal for unsegmented socializing. 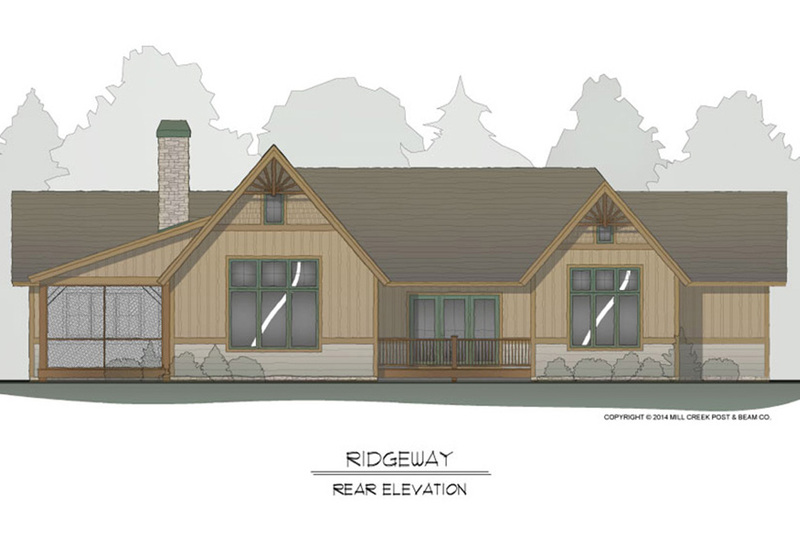 Ideal for multi-generational hospitality, the Ridgeway features a private master suite and a generous guest suite on its own wing away from the main living of the home. Re-imagine the deck space as a 3rd bedroom or an office. 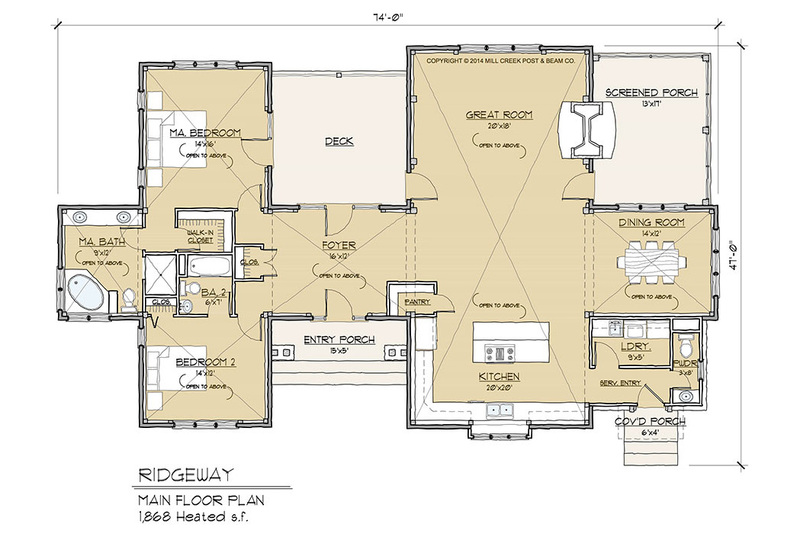 Build on a full or partial basement to add significant square footage to this plan. Click play button to view 3d walk around. To request a brochure or ask a question, please complete the form below. Your timber frame home is anything you want it to be. Think of your home as your canvas where you paint your own vision — and set your own distinct tone and style. Our home plans are simply starting points on your design journey, and it all begins with a relaxed conversation. Call 828.749.8000 to schedule your design consultation today. Designing your dream home is a journey, and it begins with a relaxed and informative conversation. To request more information about our homes, complete the form below or call 828.749.8000 today. Copyright © 2018 Mill Creek Post & Beam Company. All Rights Reserved.